I love this time of year, don’t you? There’s just something magical in the air as people are hustling around buying gifts for their loved ones, stringing up Christmas lights around their homes, trimming the Christmas tree, and children taking their pictures with Santa. It’s also the best part of the year for all things peppermint, traditional holiday dishes, and my favorite – holiday baking. I love holiday desserts! 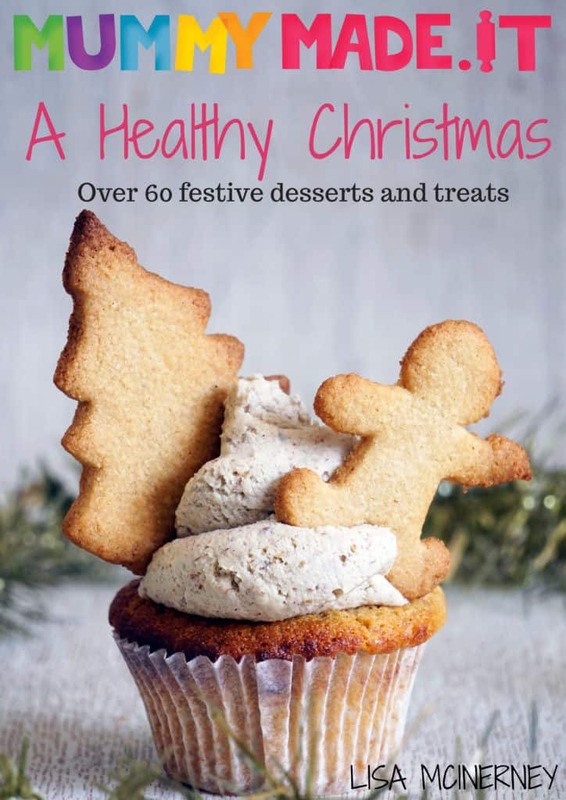 That’s why I was thrilled to get my friend Lisa McInerney’s new ebook, Mummy Made.It A Healthy Christmas – Over 60 Festive Desserts and Treats. In her new book, she shows us how we can still enjoy holiday treats made with real food ingredients and not feel guilty afterward. 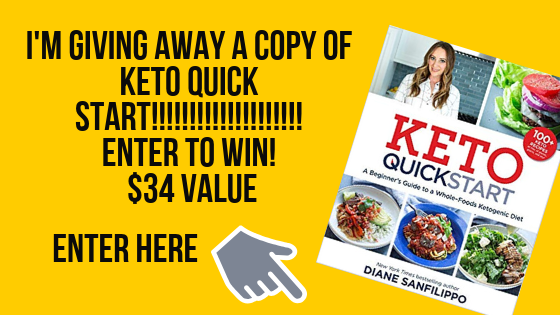 All of the recipes in this book are gluten-free and dairy-free, Paleo-friendly, and contain no refined sugars. These are healthier versions of the Christmas treats you have all gown up loving and thought you’d never be able to eat again! Nothing says Christmas like gingerbread, and what better way to eat your share than as a cupcake! 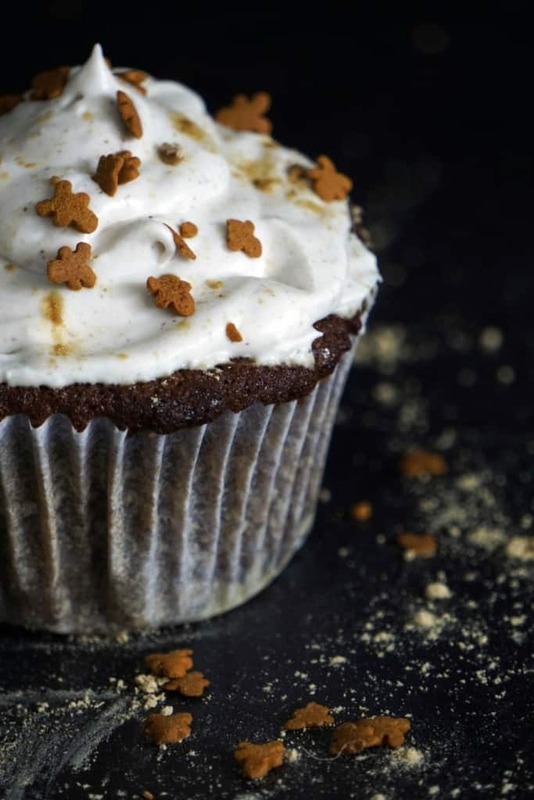 These cupcakes bring all the flavour of classic gingerbread in a small treat. Yum! Add the maple syrup and then molasses, 1 tablespoon at a time, until all incorporated and the egg white has increased in volume. While still whisking on med/high add the vanilla extract and egg yolks. In a separate bowl, sift the dry ingredients (excluding the baking soda) together. In a small saucepan, warm the milk until almost boiling. Immediately add the baking soda. Stir. Top with cupcakes with whipped cream. Place all the ingredients in the bowl of a kitchen stand mixer with a whisk attachment fitted. Whisk until the cream thickens (about 5 minutes). Place the cream in the fridge to thicken for at least 2 hours. You can find the Mummy Made.It A Healthy Christmas – Over 60 Festive Desserts and Treats here.